I am trying to determine if there was anything left of the Park Goods station after 1966 to 1969. I understand that it was supposed to have closed in 1963. 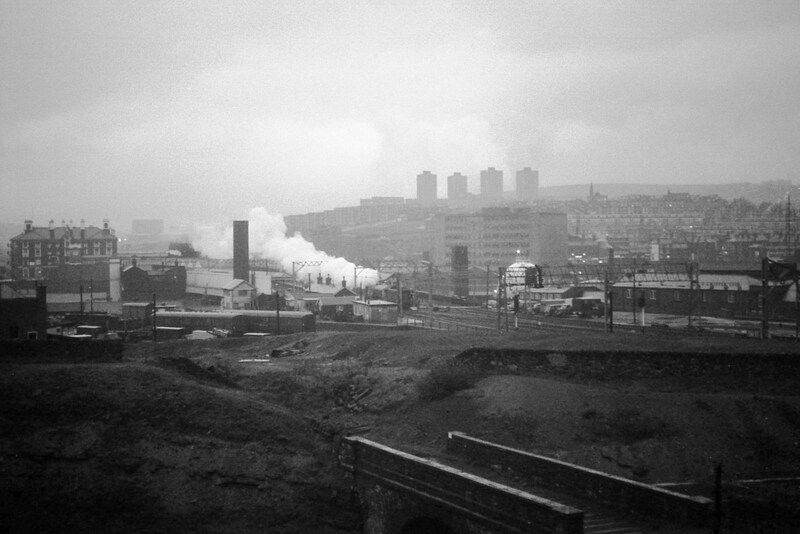 Due to the Tinsley marshalling yard being opened in 1965. There is a picture of it still in operation captured with a photo of the Canal Basin, but the photo implies late 60's rather than earlier. I have tried to search for large scale maps from the late 60's, but had no results. I don't know if you can buy them. The O.S. site has no indication of maps, at least down to street level size, on their website. I have seen a picture dated to 1969 of the Flying Scotsman passing through Victoria, which shows some carriages parked up on the lines to the station. So that could mean that the tracks were still there at that time. After a bit more research it looks like by 1967 the area above the canal basin was converted to a Car Park, presumably to cater for the increasing need for parking in the city centre. It's ironic that those who predicted that small goods depots would not be needed and that the future would be Tinsley Yard, got it very wrong! 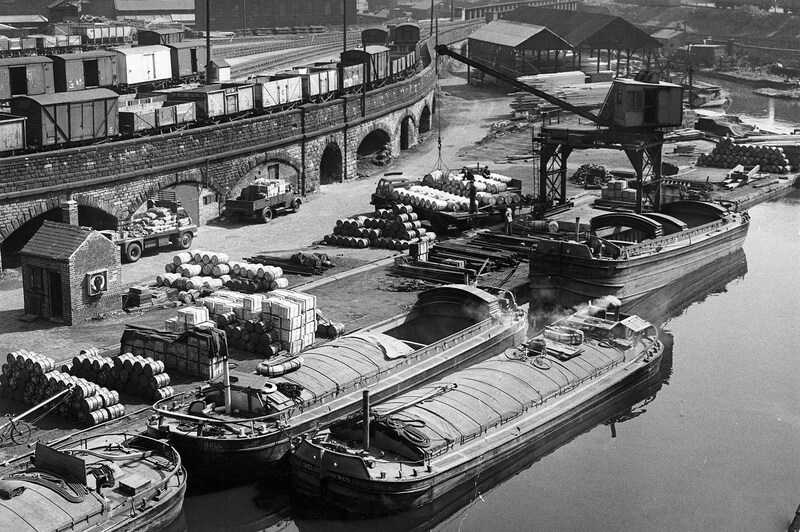 In reality Tinsley Yard never achieved full capacity and the smaller goods yards would have been very handy today, with all the parcel traffic around. Of course the railways were never allowed to compete with Road Services for goods and even in the 60's and 70's charges were imposed on British Rail for goods traffic, that were easily undercut by road haulage, who were not paying for the environment costs that they were creating. There were some sidings left over the other side of the canal, which show up on the later 1969 maps, explaining the coaches and wagons on the 1969 picture. The bride to the yard over the canal was still in place but carried no tracks. It was later removed.